Pinterest is full of inspirational posts that claim you can potty train your child in just one day. Those posts depict the experience as being a beautiful thing. If that was your experience? AWESOME! Seriously. I had a few of those "easy" kids who trained quickly and it was great! I felt like a rockstar when we were done! But potty training was not a beautiful thing. EVER. Potty training Liam is not going to be easy! Although we started to introduce the concept, the mere thought of tackling potty training full force with Liam makes me want to curl up into the fetal position. I often find myself brainstorming all the ways I can save up money to pay a professional to potty train him for me. 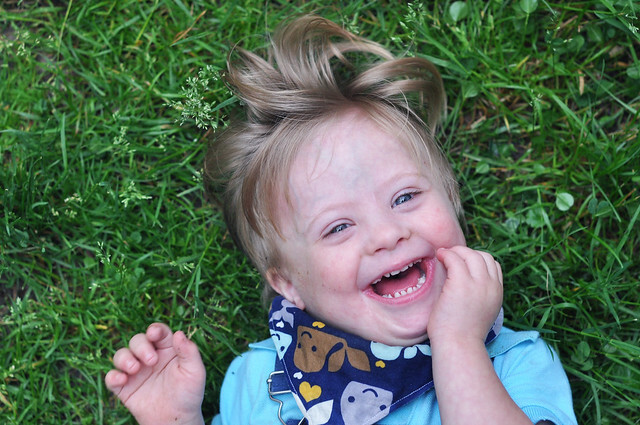 One of the common misconceptions about Down syndrome is that people who have Down syndrome can't be potty trained. However, the vast majority of parents will tell you otherwise! It's just going to take a bit more time to achieve this milestone along with a lot of patience on my end! I'm currently stocking up on all the essentials to prepare for the journey ahead. Staying home for days on end to potty train is not an option. Our family of 6 has a lot of activities and commitments, so I have to adapt my potty training methods for life on the go! The reality is this: Potty training at home is a LOT different than potty training on the go. Potty training on the go is a whole new ball game! 1. Find out where the bathrooms are in all the locations you frequent. This is vital information! Camp out next to the entrance if possible. Is camping out IN the bathroom an option? 2. Encourage your child to go to the bathroom before you leave. Just for good measure, take them again when you arrive at your location. Heck, just prepare to visit the bathroom every 5 minutes. 3. Even if they DO go before you leave the house, prepare to hear the words, "I have to go potty" immediately after you strap them into their car seat or pull out of the driveway. It never fails! 4. Buy Flushable Cleansing Cloths in bulk. Those awesome baby wipes can't be flushed! Our favorites are Cottonelle FreshCare Flushable Cleansing Cloths. We use them at home and we use them on the go. When I say bulk, I mean buy every box on the shelf because you're going to need them. 5. 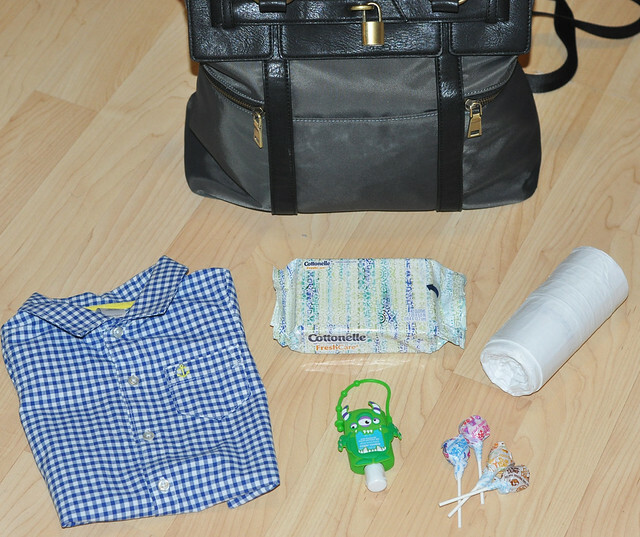 Pack an extra set of clothes for your child. And an extra set for you. While you're at it, toss in a rain slicker, a towel and a few garbage bags. 6. Mentally prepare yourself before you leave the house. Your child WILL tell you that they have to go to the bathroom, then proceed to stare up at you while they sit on the toilet and sheepishly announce, "I can't go." You will leave the bathroom only to return 5 minutes later and go through the same thing. 7. Cheer loudly when your child actually does go to the bathroom. The crazier your reaction the better! You will become a pro at ignoring the stares of all the people who think you're a weirdo. 8. No bathroom? No problem. Keep a potty chair in the back of your car. Trust me. It's going to come in handy! Like the time when you have to zoom into a crowded parking lot, rip your child out of their car seat and toss them onto the potty. The one that's sitting in the back of your SUV. Ignore the stares. Potty training is serious business! 9. Repetition, repetition, repetition. Accidents happen and most likely, they will happen often. Just be prepared for a mess. But they will get it. It WILL eventually click. May I recommend a good book or social media for entertainment while you log in countless hours of standing around in the bathroom with your child while everybody else is having fun? And lots of garbage bags, wipes and hand sanitizer! 10. By the time you return from your outing, you will feel completely drained and never want to set foot in a bathroom ever again. If collapsing on the floor from exhaustion is an option, I highly recommend it. Reward YOURSELF with chocolate. Or a nap. Or both. Potty training can be so stressful and frustrating, but it is an incredible feeling when your child finally gets it! Larger garbage bags for messy clothing AND to line the potty chair with-no cleaning necessary! 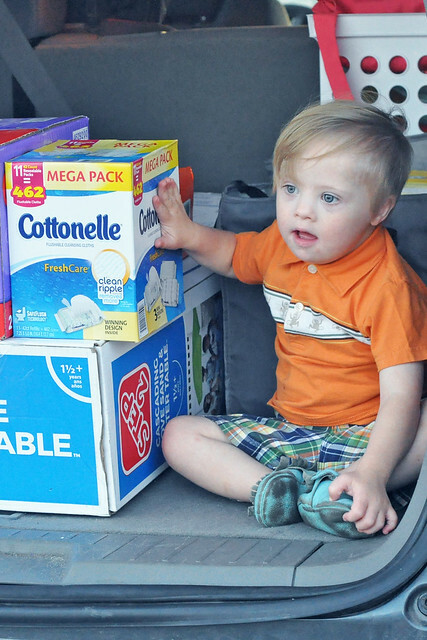 We're officially stocked up and ready to tackle the dreaded task of potty training full force! What are YOUR favorite tips and tricks for potty training on the go? We are a "potty wipes" family. All of my kids used them during the potty training process and they quickly became a bathroom necessity! 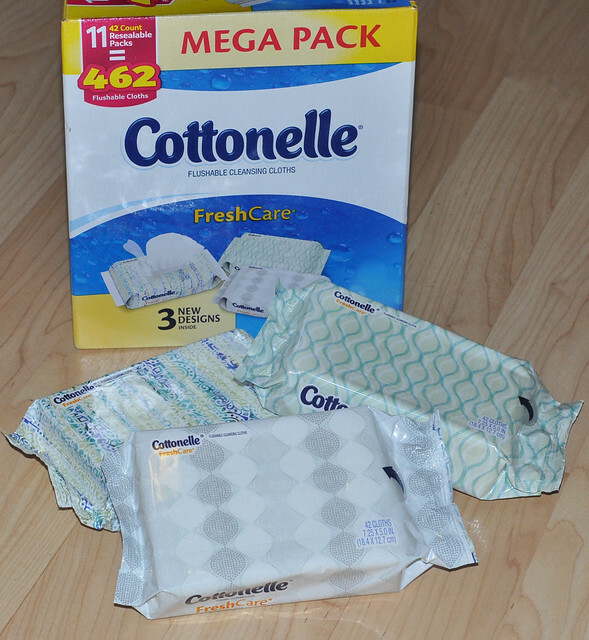 Cottonelle FreshCare Flushable Cleansing Cloths makes the potty training experience so much easier! Cottonelle is the only brand that has CleanRipple® texture. It's designed to clean better and with kids, that's so important. I believe in introducing the wiping concept from the very start and Flushable Cleansing Cloths are a great tool that gives them a #ConfidentClean! 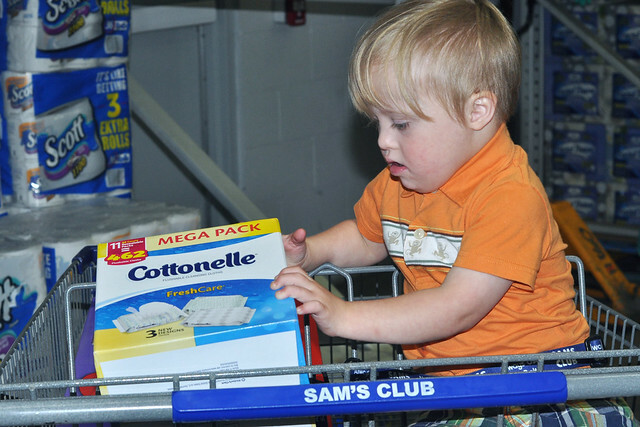 You can purchase Cottonelle FreshCare Flushable Cleansing Cloths in bulk at Sam's Club. The box includes 11 packs which is a grand total of 462 wipes. From now until July 17th, you can save $3 on these wipes with Sam's Club Instant Savings at checkout both in store and online. That makes them less than $12 for the entire box! A Sam's Club membership is inexpensive and they offer so many great deals throughout the year. 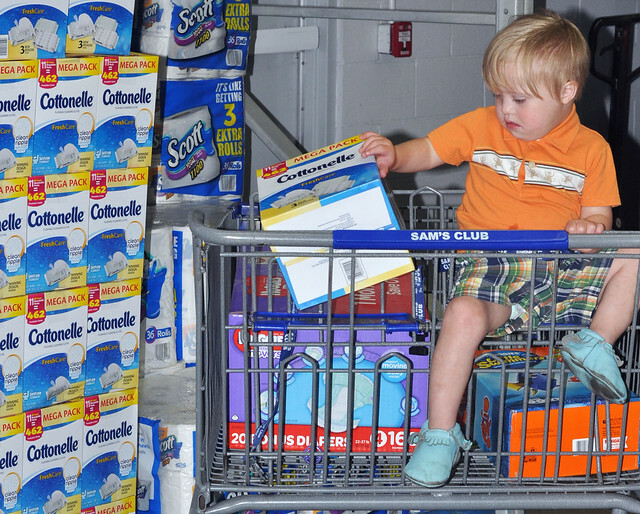 My family saves so much money just by shopping at Sam's Club for the products we love! They always have everything we need! Plus, the Club Pickup option for busy families is wonderful. Submit your order online for pickup, check in at your local Sam's Club and they will bring your entire order to you. It is such a time saver! If you're currently in the throes of potty training, stop by Sam's Club and pick up some Cottonelle FreshCare Flushable Cleansing Cloths for $3 off before July 17th. Stock up now and save money! 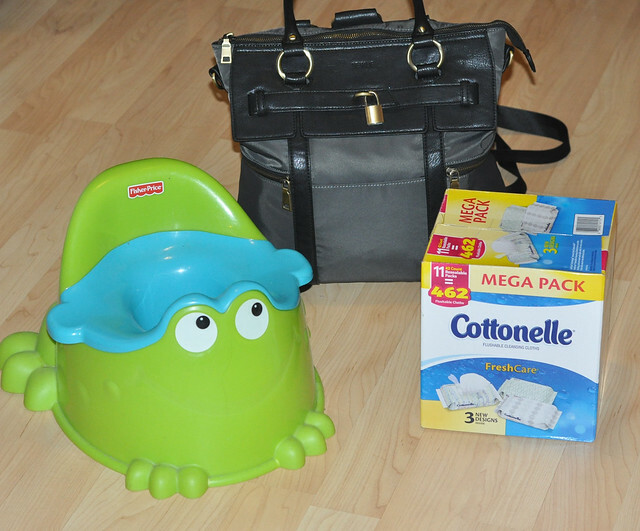 Thank you to Cottonelle for sponsoring today's post, helping to make the potty training process just a bit easier and giving us a #ConfidentClean! LOVING the potty training advice. We can take all that we can get. We struggled horribly with Jacob. It was a flat out nightmare. And we're now starting with Olivia and I'm just cringing even thinking about it! Potty training is seriously no joke!!!!! We did the three day method and I was not mentally ready, haha! Potty training is seriously the worst!! Elin to FOREVER to train! I had no idea Cottonelle made flushable wipes! Those would have been awesome during that time! Potty training is not for the faint of heart. It is the worst. Even the easy kids are work. I kinda think people that "train" their itty bitties really just train themselves. But hey, to each their own is what I say :).